Preheat the oven to 350 degrees. Put the squash, cut side down, in a baking dish with about 1/2 inch of filtered water. Cook 35-40 minutes. (Smaller squash will cook more quickly and large ones may take a bit longer.) Be sure not to overcook. Once the beef is browned, add the red pesto. You can add more or less, depending on your preference. Keep warm until the squash comes out of the oven. Remove squash from the oven and use a fork to separate the squash into spaghetti-like strands. 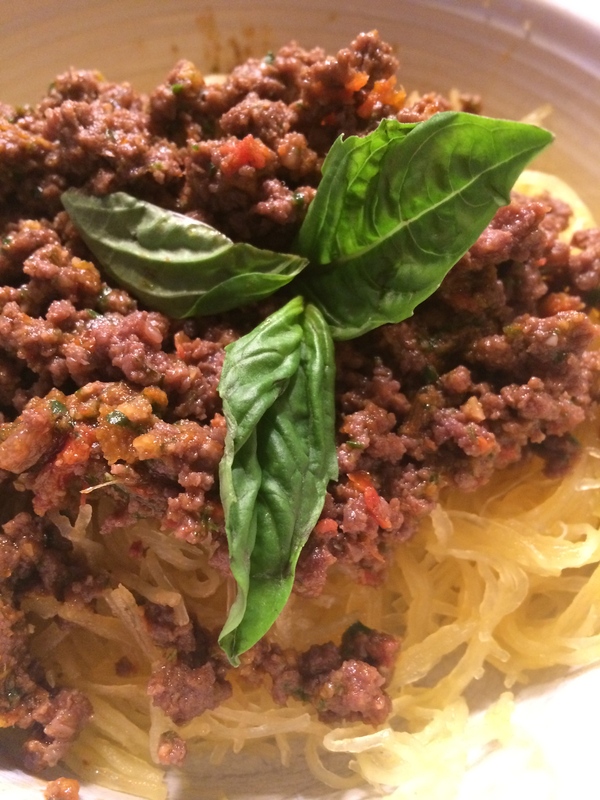 Serve the ragu over the squash and enjoy!